Young Yağız Acar, director of the film House Invasion, is now premiering to release his new movie After Glow. This low budget short film was completely shot in Los Angeles, visually capturing the passion of music and appreciation of life. The 18 minute film follows the life of Andy as he dreams away from his sickbed. In tandem with the music, the lovely beaches of Los Angeles are shown in contrast to the harsh reality that this young music lover must face chemotherapy for his terminal illness. 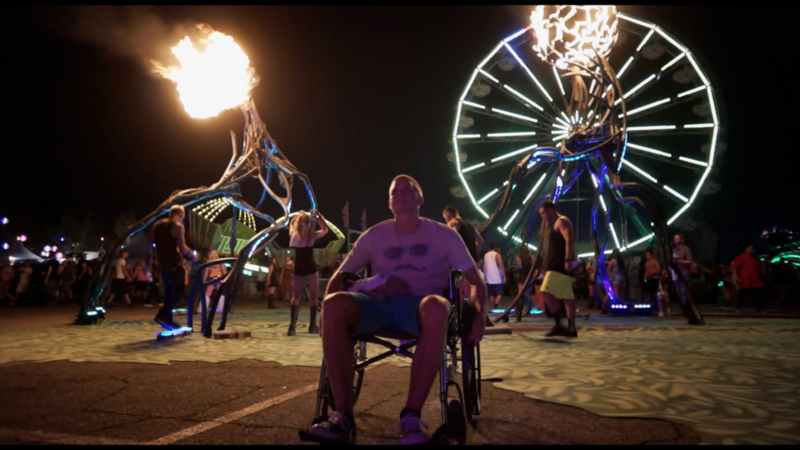 As his radiotherapy begins, his favorite music festival is approaching. He’s able to convince his older brother Gabriel to take him to this festival and then the real journey begins. That is to say, After Glow implies that the actual treatment begins on the outside. It is on the street, in pursuit of passions, and with loved ones. Some of us overcome it through music, some of us with dance, and some of us overcome this with another job, another pursuit that we love. After Glow implies that the actual treatment begins on the outside. It is on the street, in pursuit of passions, and with loved ones. All of us are motivated with different things in life, being inspired from real incidents makes the story feel more ‘organic’, and that’s exactly what the director wants to tell us. He wants to demonstrate the unifying and healing power that lies at the basis of our musical culture. For that reason, he is using cinema to transmit the musical nurture of mind, body, and soul. The drama comes at an important stage in his life. A decision is made to not spend the last days in a hospital room, but rather to spend it at a musical festival enjoy that he (and in extension the director) loves. It’s been accepted at major festivals such as the California International Short Film Festival and Sun & Sang Film and Music Festival. Directed and edited by himself, Acar brings us a dynamic narrative that invites us into his own world as much as Andy’s. Furthermore, it is a work that emphasizes friendship and brotherhood. Gabriel takes a huge risk in abducting his brother from the hospital, disguising himself as a doctor, but all to make his brother happy. He is abducting his brother disguised as a doctor and the director adds some humor to these scenes and this makes the film more fun. The ending is left open. Overall, the film goes between past and present timelessly, demonstrating the passion of brothers that will continue timelessly after Andy has passed on. The memorial of the musical passion will be visually memorialized through the visual imagery of Los Angeles beaches and the liveliness of dance festivals. This passion representing of himself, Yağız Acar hopes to move on to work on a feature film version following the success of After Glow. Music can be healing, and with the addition of cinema, it becomes a much more powerful force of therapy. Congratulation Mr.Acar:)After Glow was a really nice movie which made me felt too many sense with music.